The best of the best. This is the prize everyone wants to win in our 12 days of giveaways: a 47” LG LED Smart TV and $200 in credit to access the latest movies and TV shows from CinemaNow. The LG 5700 is a smart TV with built-in wi-fi so you can access apps like CinemaNow and YouTube and watch the latest in digital entertainment. Picture quality is amazing with 1080p output and high-contrast ratios thanks to its fast TruMotion 120Hz refresh rate. Additionally, this big screen allows you to share content using a laptop with Intel WiDi technology or Miracast via your smartphone, so forget the cable when you want to share the latest photo, article or video from Vancity Buzz. Launched in Canada in 2011, CinemaNow is a leading digital movie and television service offering instant access to a library of more than 15,000 premium video content for rental or purchase, including new release movies and TV shows with no subscription required. 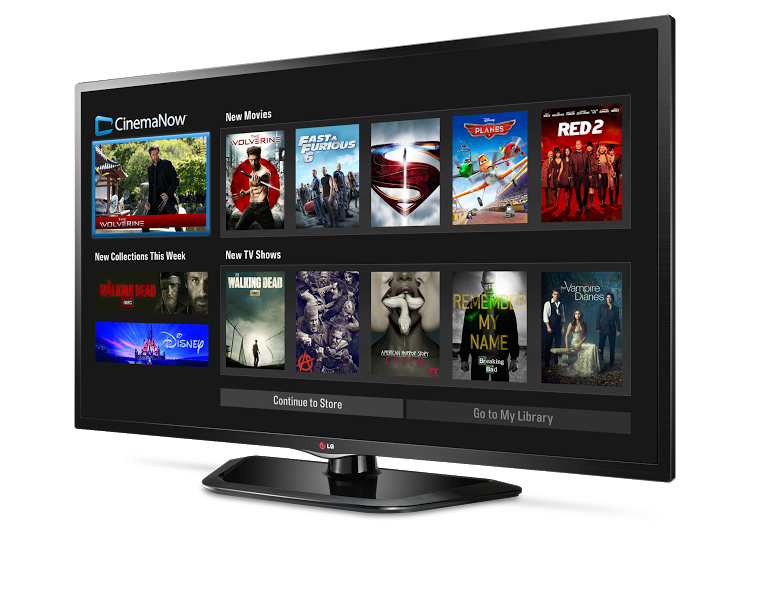 CinemaNow is available on more than 1,000 connected devices, including TVs, PlayStation 3, Xbox 360, tablets, smartphones and PCs. Once you’ve done both steps 1 and 2, leave a comment below telling us you’ve entered! For a BONUS entry, “Like” this photo on our Facebook page. Winner will be selected at random and announced on December 20, 2013.